When the first-year law students at the University of Damascus opened their General Penal Code exam booklets, they discovered both the latest news from the world of football and their professor's unequivocal love for FC Barcelona. 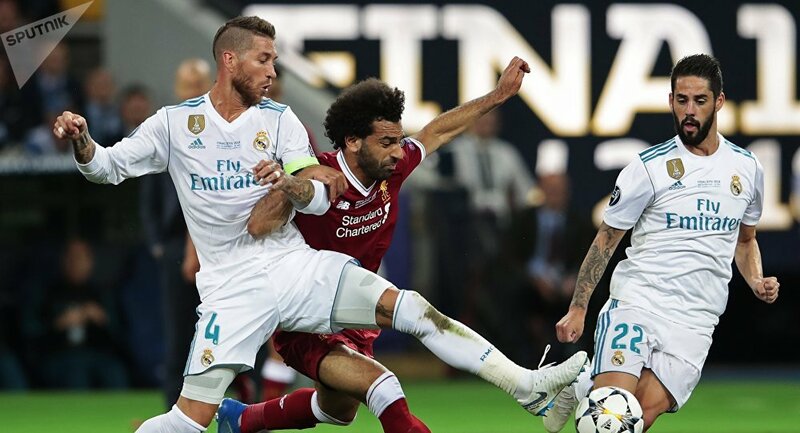 Apparently, one of the exam problems featured the infamous tackle by Real Madrid captain Sergio Ramos against the Liverpool star, Mohamed Salah, during the 2018 European Champions League final. "Sergio Ramos injured Mohamed Salah in the 2018 European Champions League final. Naturally, Ramos cannot be held to account for this action from a criminal law perspective due to four conditions that make the use of violence justified in sports. State these conditions," read the exam question, which circulated amongst Syrian Facebook users. The problem was met with good-hearted humor on the part of most students with some of them describing their examiner as a "defeated Barcelona fan," whose bitter rival Real Madrid secured another Champions League title, following their 3-1 victory against Liverpool. Others joked that any real Barcelona fan "would have torn up the exam paper and left when they heard Ramos's name." Although some commentators criticized the exam-setter for using a real-life situation on the test, the University of Damascus subsequently released a statement on its Facebook page, where it expressed support for its staff's creative approach. "The question was clear and frank. All thanks and appreciation goes to the academic staff in general," the statement read.